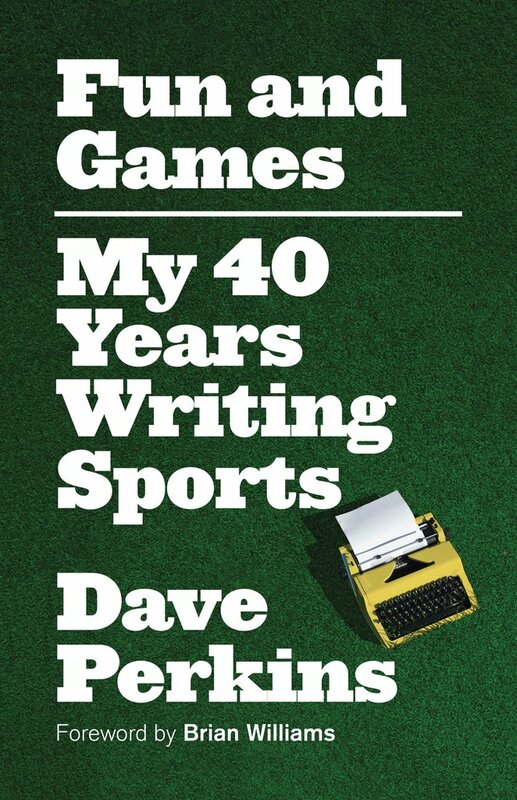 Dave Perkins, Fun and Games: My 40 Years Writing Sports. ECW Press, 2016. 288 pages, $19.95. From one old dinosaur of the journalism business to another, I just want to start by expressing my gratitude for penning your book Fun and Games – My 40 Years Writing Sports. It comes as advertised, 300-plus pages of funny and revealing stories about your four decades of work, most of it in sports at the Toronto Star, predated by your start at the Globe and Mail after learning the trade at Ryerson. But selfishly, as a journalism instructor at Durham College in Oshawa, Ont., it’s your insight into what is required to build a career of quality and substance that deserves deeper consideration. It’s a behind-the-scenes textbook for all journalism students – and not just those with an interest in sports. Remove the sporting scenery and j-students will get schooled on what is required to become a true ‘storyteller’. Too many of today’s journalism students think reporting can be done behind a computer, surfing websites and pulling content together. Thankfully, you discredit that notion by revealing how to do the job properly and effectively. Your writing reinforces the tenets of journalism. In no particular order: getting out there, watching first-hand, telling riveting stories, getting it right, and the importance of connecting with people both as sources and as readers. The stories have the Blue Jays, Raptors, Olympics, major golf championships, football, hockey and boxing as backdrops, but their focus, as it should be, is on people. For J-students, it serves as a master class, whether it’s the humorous anecdote about the source who offered his name to you as ‘Heywood Jablome’, (which you quickly caught on to), to the most simple and obvious, yet all-too-often overlooked advice for reporters: “Watch the damned game,” which translates (for me at least) to get out from behind your screen, put your device in your pocket (unless you need it to snap a photo or record an interview) and be where you need to be. Observe and talk with everyone you come in contact with, which will lead you to the right people needed to help you tell the right story. Or did I miss the chapter in which you revealed all the great stories you got via email? You call this “a dangerous practice” and I couldn’t agree more. But more importantly, for me, the book and your career provide underlying support to what should be a great recruitment tool for the journalism profession (despite its current economic challenges)—No two days of work are exactly the same and we get a good seat from which to witness history, regardless of the size of the stage. You are welcome at Durham College anytime to tell your stories to our journalism students. Brian Legree is a professor and coordinator of the journalism programs at Durham College in Oshawa.